Al-Qaeda militants began to pull out of two southern Yemeni town on Thursday, residents said, following weeks of mediation by tribesmen for them to exit peacefully rather than resist a Gulf-backed offensive. Al-Qaeda in the Arabian Peninsula, widely considered the most dangerous branch of the global militant group, took advantage of over a year of war in Yemen to seize towns along a 600-km (370-mile) stretch of Arabian Sea coastline. But Yemeni troops backed by a Saudi-led military coalition pushed the group out of its main base in the port city of Mukalla late last month, depriving them of the estimated $2 million a day in revenue from port taxes and fuel smuggling. Saudi Arabia and its Gulf Arab allies intervened in the civil war in Yemen on March 26 last year in support of Yemen's government after it was pushed into exile by the Iran-allied Houthi militias. The war has killed more than 6,200 people, displaced more than 2.5 million and caused a humanitarian catastrophe in one of the world's poorest countries. Coalition bombing had mostly ignored the steady rise of AQAP until forces funded and trained by the United Arab Emirates launched a surprise attack to win Mukalla last month. 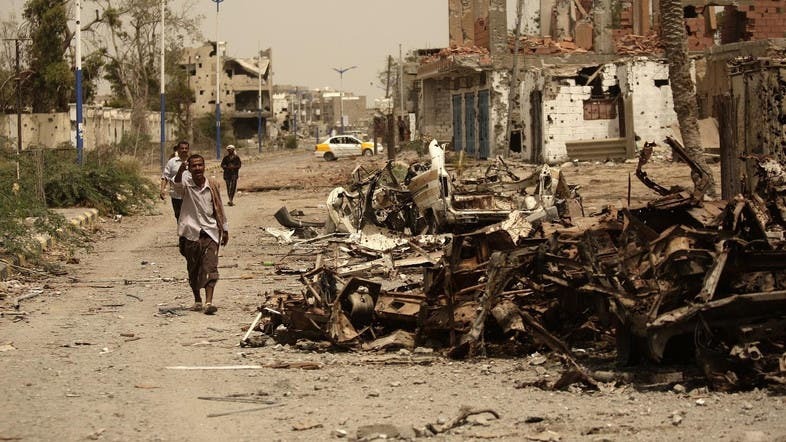 But an armed push toward Qaeda-held towns in Abyan and neighboring Lahj province proved more difficult, and militants launched repeated suicide attacks against Yemeni forces.